Dr. Leslie Lenkowsky is an expert in volunteering and civic engagement, nonprofits and public policy, civil society in comparative perspective, education and social welfare policy, and social entrepreneurship. A leading scholar on philanthropy, Lenkowsky has been a member of the Indiana University's School of Public and Enviornmental Affairs' faculty since 2004, and, for five years, was the director of Graduate Programs at IU’s Center on Philanthropy in Indianapolis. He also served for many years as professor of philanthropic studies and public policy at IUPUI. In 2001, President George W. Bush appointed Lenkowsky to be CEO of the Corporation for National and Community Service, a position he held for three years. The Corporation engages more than a million Americans of all ages in improving local communities through three initiatives: AmeriCorps, Learn and Serve America, and the National Senior ServiceCorps. President Bill Clinton appointed Lenkowsky as one of the founding directors of the Corporation when it was created in 1993. Among his other positions, Lenkowsky has served as president of the Institute for Educational Affairs, deputy director of the United States Information Agency, research fellow at the American Enterprise Institute, adjunct faculty member at Georgetown University, director of the Philanthropy Roundtable, and director of research at the Smith Richardson Foundation. He has also served on a number of for-profit and nonprofit boards. 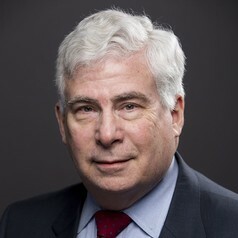 For seven years (1990-97), Lenkowsky served as president of Hudson Institute, an internationally renowned public policy research institution headquartered in Indianapolis.